Sande, this is exquisite! I'm sorry I didn't think of this but I've already wrapped everything! Merry Christmas, darling, to you and your family. 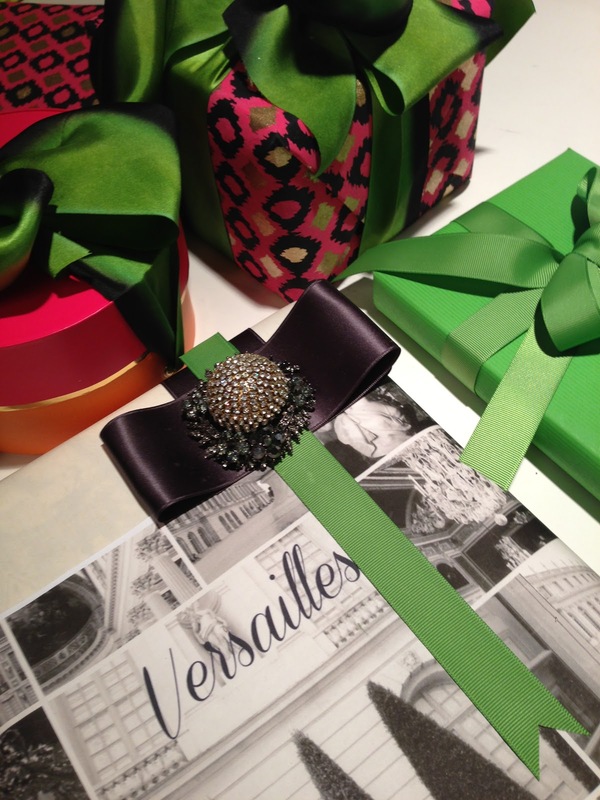 I just LOVE your Versailles wrapping paper, especially the black and white one. I can just imagine your gifts under the tree. This is beautiful. I'm loving the Emerald green for next year. The pearls are so clever...you're brilliant. 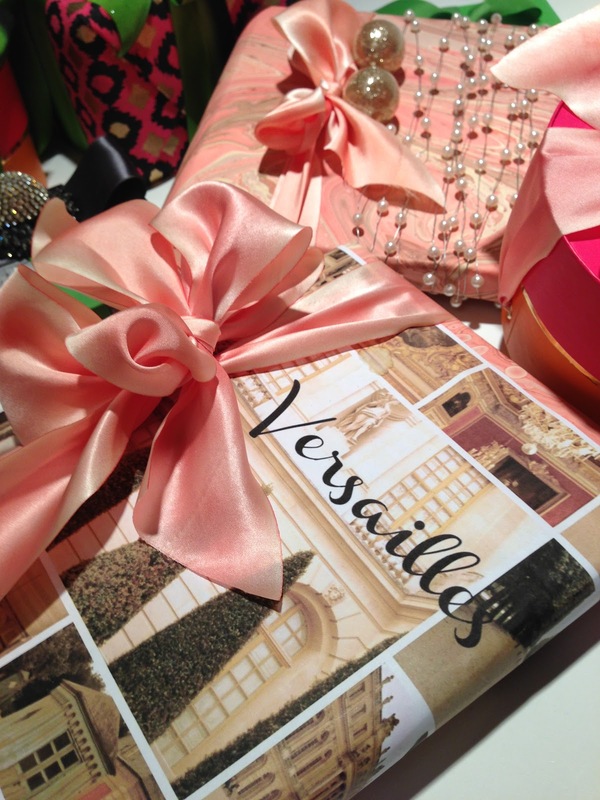 The Versailles paper is stunning, congratulations on the design. And, as always, your the styling of your wrapping is a dream. 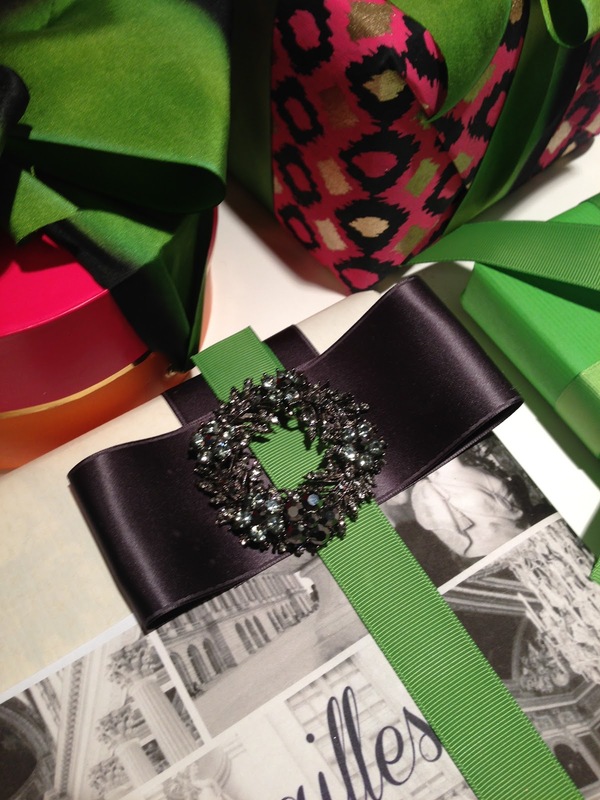 Love the emerald green ribbon. Merry Christmas! Sande I am just stunned by the Versailles paper. Wonderful design and wraps. Merry Christmas Sande! Thank you for your gorgeous images. So pretty !!! Hope you have a wonderful new year!!!! Gorgeous! What a pretty combination of colours & images. J'aime the Versailles paper. Happy New Year to you Sande! 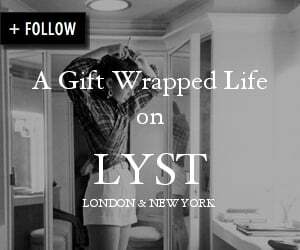 Sande, I just stopped by to thank you for all the beauty and lovely ideas you offer here. I love visiting your blog and I always leave inspired by some color combo or sparkling accessory I've just seen. Wishing you much joy and happiness on New Years. Happy New Year! Stunning post! 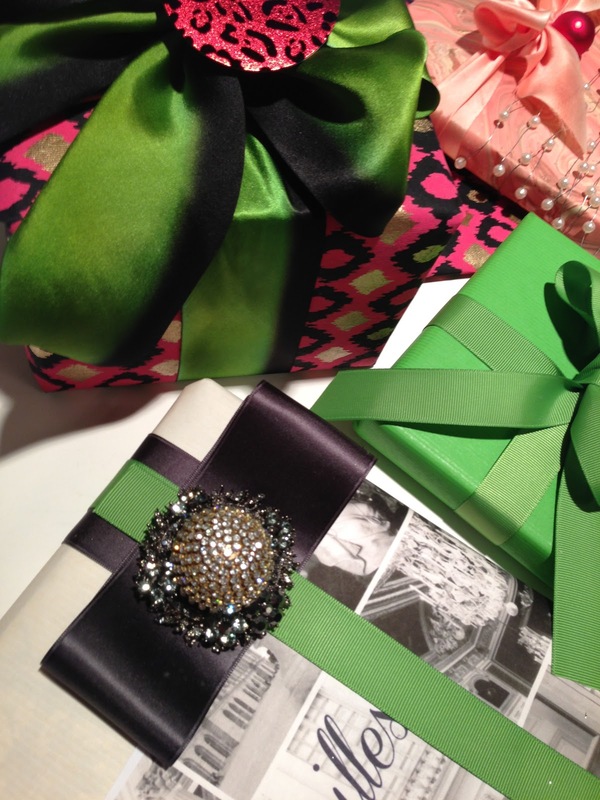 Love the idea of the black and white with that gorgeous Emerald Green! 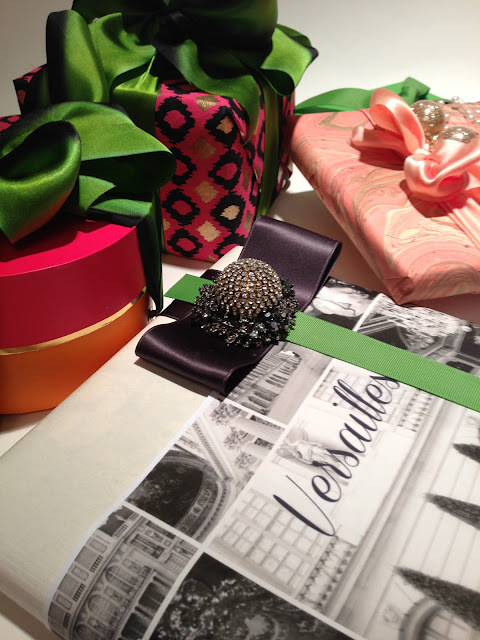 Love the Versailles wrapping in Vellum. Great idea. Do you actually not only wrap but also produce paper? Stunning! Always a treat to read your posts. You are onto something fabulous here! 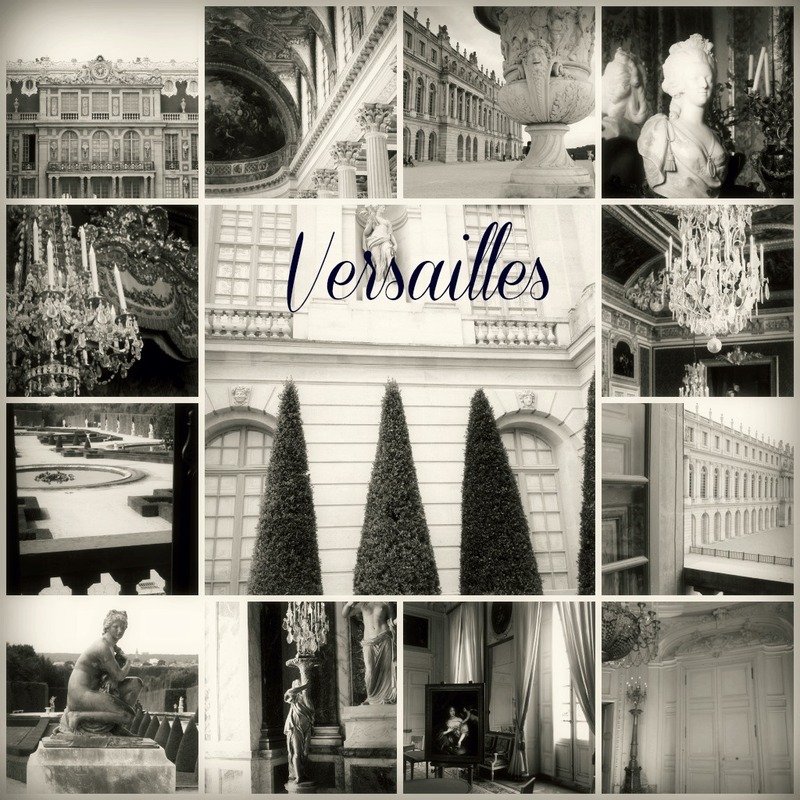 I love the idea of putting a Versailles collage on vellum (paper would be great too). I can just imagine how many people would go crazy for this paper, Sande. Best of luck with your new project, and I wish you and your family a blessed 2013.
this is brilliant! 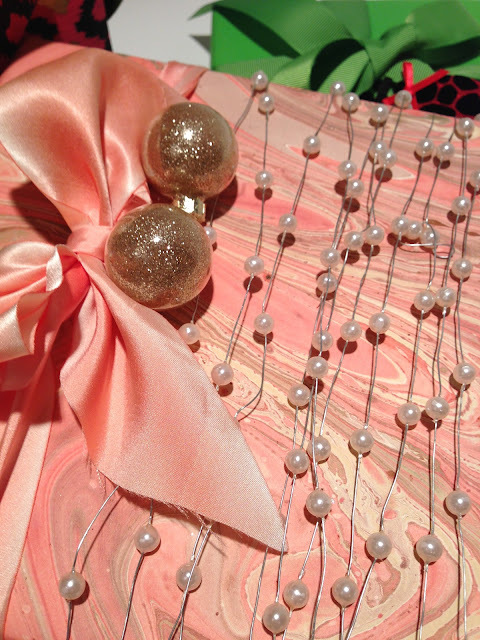 I'm swooning over the Versailles collage, crystals, pearls, and ribbons. I hope you had a fabulous Christmas and New Year. 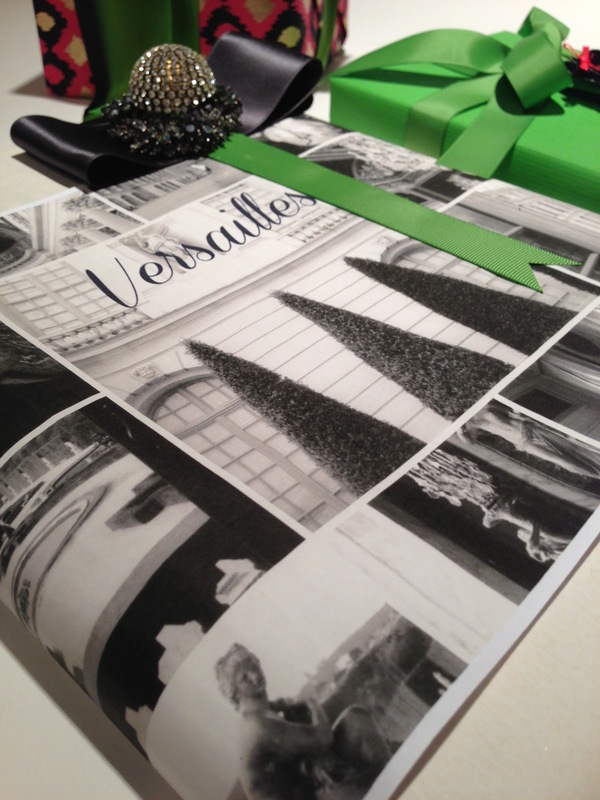 This vibrant emerald against the beautiful black and white Versailles design is stunning. I am biased as each time I visit the Versailles gardens they really take my breath away! I'm trying to get around to visit some bloggers I haven't "seen" for a while. I love the colors of your wrapping choices. My family says I'm over the top with my wrapping...I should print out a picture of yours and show them what stunning really looks like! Hope you are well. S.
I don't think I've ever seen such lovely wrapped presents. Gorgeous! Thank you so very much for your kind words, it is incredibly difficult to loose a loved one to depression. I am sorry for your loss as well, I cannot imagine the pain of loosing a sister. I hope that you are well and have not been bombarded with snow.